We offer an exclusive range of Cameo S Dita to our clients as per their requirement. These are fabricated by using optimum quality material that is procured from certified entities in the market. It is widely used in playing hockey which has high grip and less weight. These are available at reasonable cost. Smooth and dimpled surface available. Mini, indoor, street, and oversized hockey balls available. All colours, designs, multicolour swirls available. Cork composition core in Dimple finish. We offer hockey balls that are available in dimple ball, plain ball & glitter balls and can also be customized to suit the varied requirements of the clients. We offer another range of hockey balls that are manufactured using synthetic material & hollow center. We offer two types of Hockey Balls that are available in sizes between 70-71 cm in diameter and 72-74 cm in diameter. These are available in various designees such as Dimple Ball, Plain Ball & Glitter Balls and can also be customized to suit the varied requirements of the clients. Cork Core covered with wool layers, PU covered Dimple Ball as per F.I.H regulations available in different colors like White, Orange, Yellow, Purple, multicolored etc. for Match play. We are among the reputed organizations, deeply engaged in offering an optimum quality range of Hockey Hollow Ball. 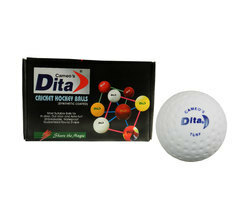 Hockey Balls offered by us are made using premium quality raw material which ensures optimum performance. These are manufactured as per the latest technical advancements that enable the ball to withstand numerous hits and also harsh weather conditions. 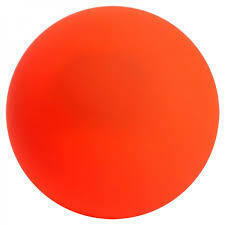 Known for its excellent quality and dimensional accuracy, we offer these balls in various sizes and colors. - Access to expert Training and Coaching Facilities. - Exposure to National & International Sporting Events. We are a reputed name in the industry, devoted towards offering the best quality array of Hockey Ball.